Near field earthquakes with forward directivity effects have pulse in the velocity record, thus this phenomenon causes significant demands on the steel frames more than the ordinary earthquakes. Therefore, structural behavior of steel frames and the higher modes effects of structures under near fault earthquakes are essential. 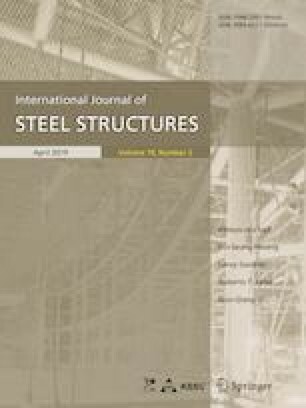 For this purpose 5 intermediate (ductility) steel moment resisting frames with 4, 7, 10, 15 and 20 stories under 20 far and near fault, 40 strike-parallel (SP) and strike-normal (SN) records have been investigated. Finally, the elastic responses of equivalent single degree of freedom structure (ESDOF) under mentioned records and response modification factors to convert the response of ESDOF structure to the response of MDOF structure have been presented. The results of this research show that higher modes effects under the far fault earthquakes are greater than the near fault earthquakes. Also, the inter-story drift angle of structures under near fault earthquakes with forward directivity effect is greater than far fault earthquakes for about 30–50% of structure height in upper stories. The high-rise structures demands under the SP earthquakes, because of higher modes effects, are greater than the SN earthquakes. When the ratio of the building period to the pulse period, is greater than 0.5, the effects of SP earthquakes increase more than the fault normal (SN) earthquakes.